The Scion brand has been associated with the customizing enthusiast from the start. The first Scion to hit U.S. shores was the xB, with its unique boxy shape and shockingly large cabin; the “little bus” quickly infiltrated the streets of America. Shortly thereafter, performance parts manufacturers began offering an array of products for the xB. A few years later, Scion expanded their lineup with the tC and xA. The tC took the role of the sporty coupe and the xA model was almost a hybrid of both the xB and tC. Each vehicle is definitely different, however all Scions share some features. One of the main similarities of the xA and xB is the 1.5-liter engine. This little engine is excellent on gas mileage, but leaves little extra power for performance straight from the factory. To increase the performance output of the 2006 Scion xA and 2004 to 2006 Scion xB, AEM Induction Systems has released a new Cold Air intake system (21-570P) that fits these vehicles. 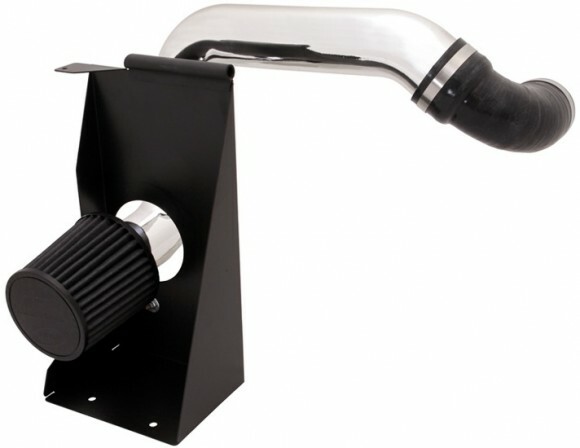 The 21-570P Cold Air intake was designed to fit the tight engine compartments of the Scion xA and xB. It completely replaces the vehicles’ restrictive factory intake systems with a polished aluminum cold air intake system. The system begins at the 1.5-liter engine’s throttle body and routes to the driver’s side wheel well. The cold air configuration ensures the delivery of cool air, while the included Air Bypass Valve virtually eliminates the chance of hydro-locking the engine. The 21-570P locates a DRYFLOW air filter, part 21-200DK, in the driver’s side wheel well. The 21-200DK has a 2.25-inch (57mm) inlet diameter and a height of 5.125-inches (130mm) allowing a smooth flow of air to the Scion engine. The oil-free DRYFLOW technology is extremely durable and easy to clean. The infamous Honda Civic… this car has been around for as long as most of us can remember. Honda first introduced the Civic as a two-door coupe in the early 70’s and ever since its release the Civic has been one of the best-selling compact cars of all time. Fast-forward almost 40 years and the Civic attracts a variety of drivers. You can see the Civic being driven by anyone from young adults that recognize its sporty side to elderly folks that want a car with good MPGs. Well, a small displacement engine such as the Civic’s 1.8-liter four cylinder that gets good gas mileage (~29 MPG) often leaves the driver with a desire for more power. In the case of the Civic, there happens to be additional horsepower ready to be unleashed. AEM recognized the car’s need for an air intake system and designed a Cold Air Intake System for the 2006-09 Honda Civic with the 1.8-liter engine (part number 21-686C). During the design phases, AEM was able to not only design a more efficient air intake system that looks and sounds great but also squeeze additional horsepower from the 1.8-liter powerplant. 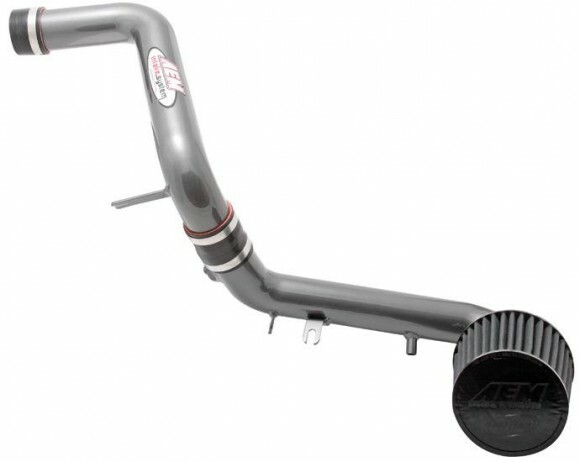 The new AEM 21-686C Cold Air Intake System completely replaces the restrictive factory intake system of the Honda Civic. By replacing the factory airbox and air filter with a mandrel-bent aluminum intake tube that optimizes airflow and filtration more power was gained. AEM’s’s dyno tests have recorded a 4 horsepower increase at 3,800 RPM on the 2006-09 Honda Civic 1.8L. This increase in horsepower brings the stock baseline power of 98 wheel horsepower up to 102 wheel horsepower with the AEM 21-686C Cold Air Intake System installed. The 21-686C intake routes an AEM Dryflow 21-201DK air filter in the wheel well where the air filter can draw cool air safely. The 21-201DK air filter features a flange inside diameter of 2.5-inches (64mm) and an overall height of 5.125-inches (130mm). The oil-free DRYFLOW technology is extremely durable and easy to clean. The Scion tC is one of those vehicles that offers an all around good value. For the money, you’ll get a stylish two-door coupe that is sporty, practical and powered by a 2.4-liter 161-horsepower Toyota engine. To sweeten the deal even more for Scion tC owners, the aftermarket industry supports the Scion platform with a plethora of performance parts. AEM Performance Induction is right there to supply the 2005-06 Scion tC with a high-quality Cold Air Intake System (part number 21-569P). The new AEM 21-569P intake system is constructed from mandrel-bent high-grade aluminum and topped with a DRYFLOW oil-free synthetic air filter. AEM engineers took this Scion tC air intake system one step further by incorporating the patented Air Bypass Valve into the design. With the addition of the Air Bypass Valve, the 21-569P Cold Air offers the enthusiast an entire package of performance and safety in one. 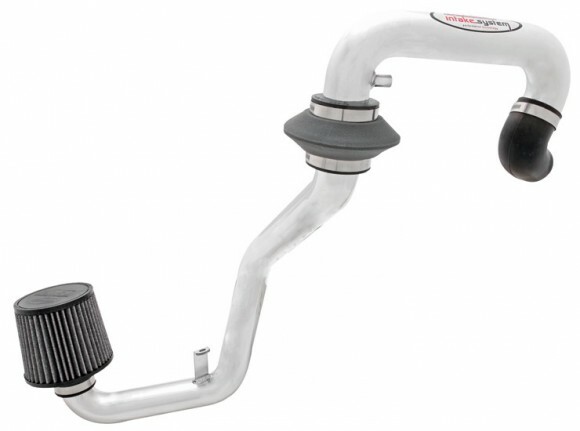 The 21-569P air intake system is designed to increase the performance of the 2005-06 Scion tC coupe by routing the air inlet tubing to the front of the vehicle. The filter chosen for this application is AEM’s 21-201DK DRYFLOW synthetic air filter. The 21-201DK air filter measures 2.5-inches (64mm) on the flange inside diameter and 5.125-inches (130mm) for the overall height. In addition to performance air filtration, AEM includes the Air Bypass Valve, found before the Mass Air Flow sensor, to virtually eliminate the chance of hydro-locking the engine.